After trying several different half baked solutions I took it another step. 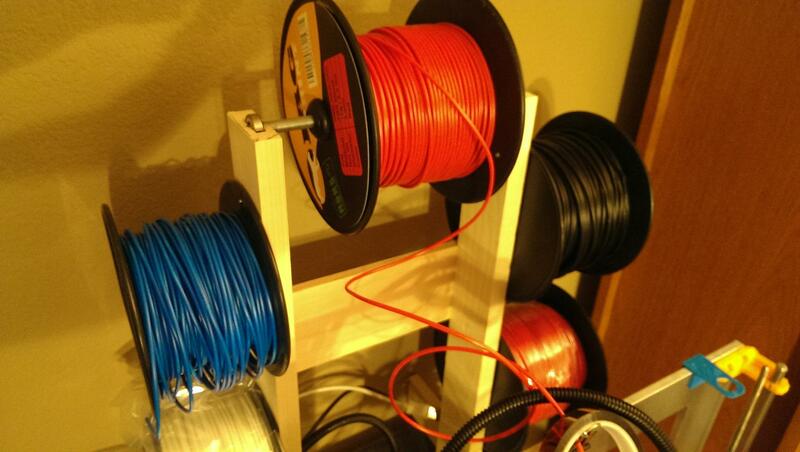 I needed a better solution to a spool stand for my i3 Prusa Printer. 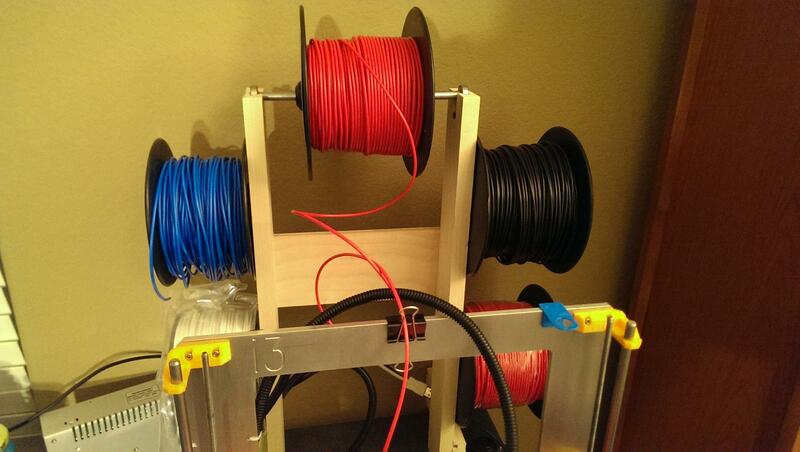 It's made out of a wood frame that holds a spool of 3mm ABS filament on the top on a rod held by bearings. Also, the rest of the frame provides a convenient place to store spare spools. 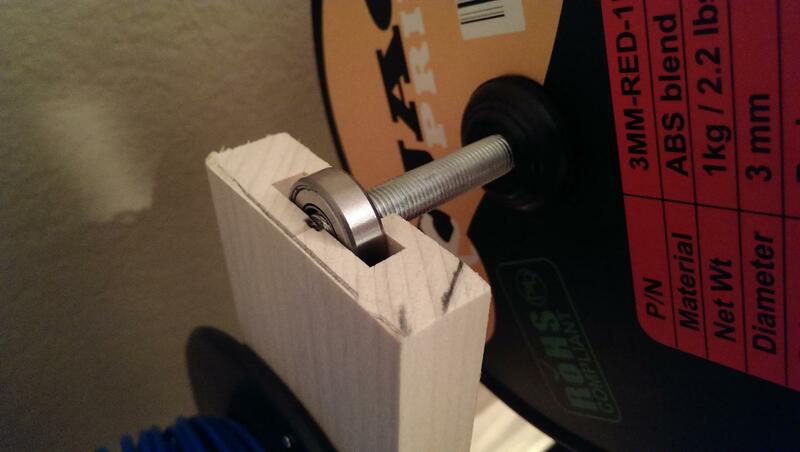 I used a router to cut notches in the top of the frame to hold the bearings and allow the threaded rod to spin freely. The rod goes through some rubber stoppers that fit inside the spool to hold it. The result is a spool that spins freely and is really simple to swap out. The rubber stoppers slide right off the rod but stay on place when forced into the spool. The stand sits right behind the printer without taking up too much space and works like a charm. No more mystery feed problems.